I've followed Emerson Willard's guide to creating a paclet with Workbench but am stuck on the step "Build your project and documentation as usual and then create your Paclet file and deploy." I hit the "Create Paclet" button, enter a destination, then nothing happens. Any ideas? I'm using Mathematica 11.3, MacOS 10.13.4, Workbench 10.1.822. Browse other questions tagged documentation workbench paclets or ask your own question. 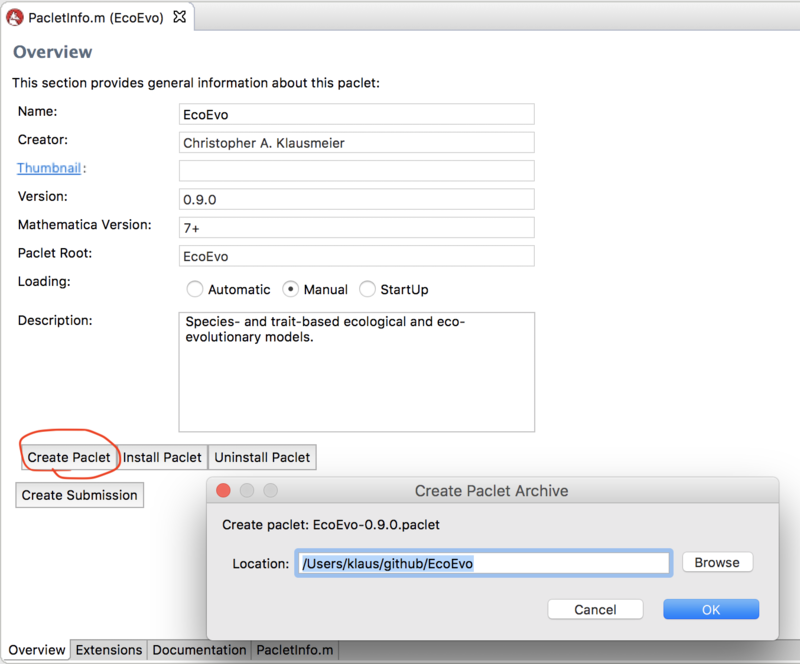 What is a Full Function Paclet? Why this issue with Workbench?